Formula North 2017 sees Formula uOttawa’s best finish yet! In June, Formula uOttawa, the University’s Formula SAE student club, set off for the Formula North Engineering Design Competition in Barrie, Ontario with a brand new racecar in tow. The club’s various sub-teams undertook the assembly of the different components of the car over the past year and pooled their efforts to complete this project in time to compete. 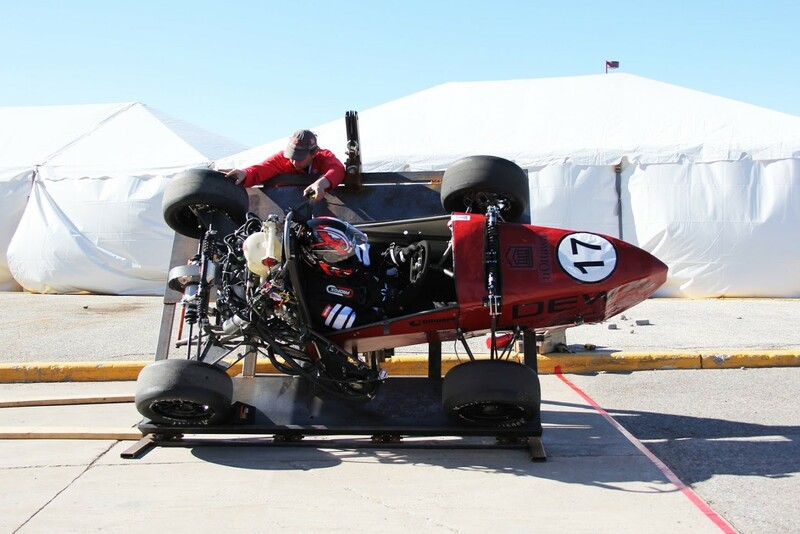 The purpose of the Formula North competition is to cultivate practical engineering experience, project management, and student innovation by creating a competitive platform for student-built racecars. Taking on a hypothetical challenge laid out by SAE International, teams act as a fictional manufacturer with a prototype that is evaluated by a group of developers who want to invest in the mass production and sale of a racecar. As a result, competitors have to adhere to strict vehicle safety and performance regulations while working to create a competitive vehicle. During the competition, teams participate in static and dynamic events where everything ranging from marketing and design to endurance and energy efficiency is tested. Over the course of four days, a jury of experts from the motorsport, automotive and supplier industries judge the design, cost and business plan of every entrant to determine the best team and vehicle. “After a year of designing and building, Formula uOttawa returned this year to Barrie and Formula North with a much improved car and a valuable year of additional experience. With team members travelling from all across Ontario and the United States to compete at the Barrie Molson Center, our team had been clearly looking forward to this weekend – both to show off our efforts and to continue to learn more from other teams. Over the next three days, our team worked tirelessly to pass technical inspection. Often working under headlights in the middle of the night, numerous unexpected problems were solved through creative engineering, hard work, and large amounts of dedication. Leveraging support and insight from Geoff, the lead technical inspector at Formula North, team members pitched in wherever was needed to ensure the team could move forward. During this time, our second-year team accomplished a milestone by successfully competing in all the static events for the first time: design, cost, and business. In addition to placing in the middle of the pack for the cost presentation, our business team placed 7th out of 41 registered teams and was only 9 points short of total possible points. Saturday was both an exciting and disappointing day for the 2016/2017 team. Having worked until 5 AM that morning and returning shortly at 9 AM, our team’s effort was rewarded when our racecar passed both the technical inspection and the tilt test. However, a sudden electrical short prior to the brakes test caused us to run out of time and left us unable to finish qualifying for dynamic events. Taking it as a learning experience and realizing how close we were to competing on the track, our team continued to work late into the night and into the following day to diagnose and fix the initial problem. 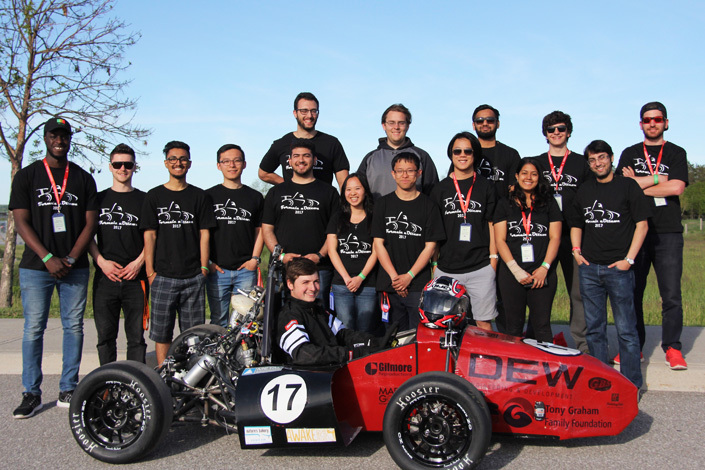 Read on for more information about Formula uOttawa’s sub-teams or visit their website. 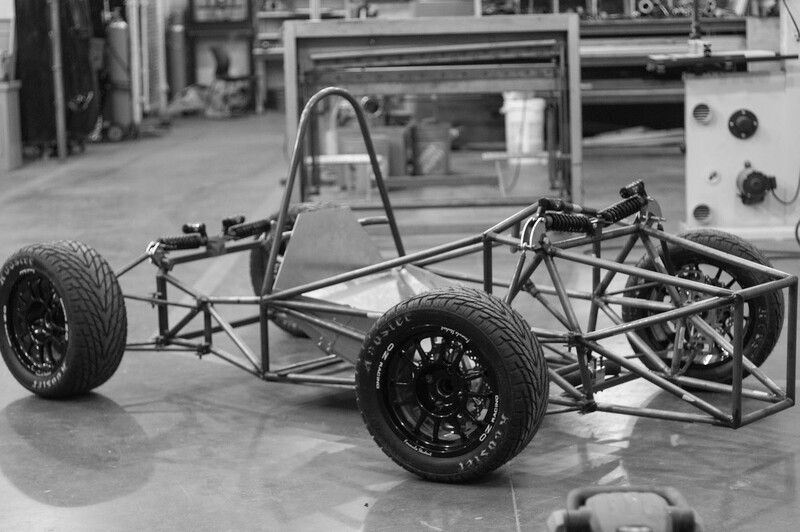 As the skeleton of the car, the chassis is the main supporting structure of the vehicle and is connected to everything. It provides mounting for all the various components of the vehicle while also protecting the driver from collision or roll over scenarios. The heart of the electrical system is the engine standalone unit (i.e. ECU) that controls the electronic fuel injection (EFI) engine using respective sensors and actuators. 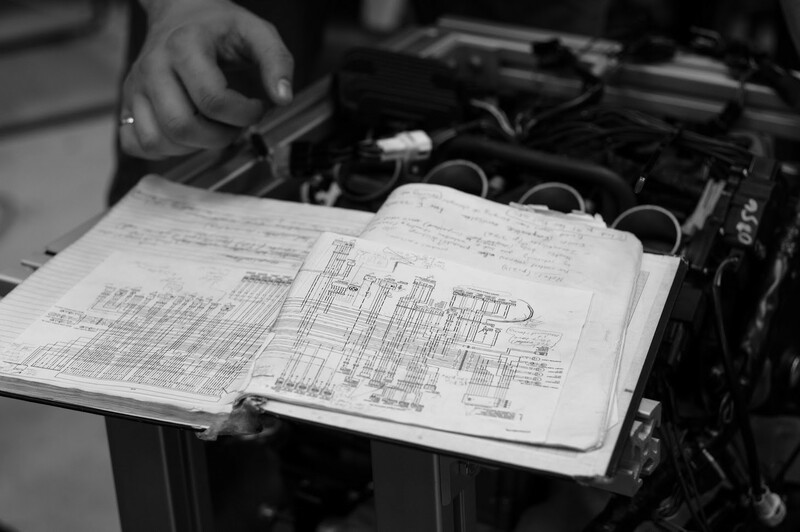 The electrical team is responsible for implementing the electrical circuit for the ECU, allowing full control of the engine and enabling engine tuning to take place. The team also sets up the brake lights, the switches for the electrical system, and all of the kill switches. The wheel assembly team takes care of everything on the outboard side where the wheels are connected. 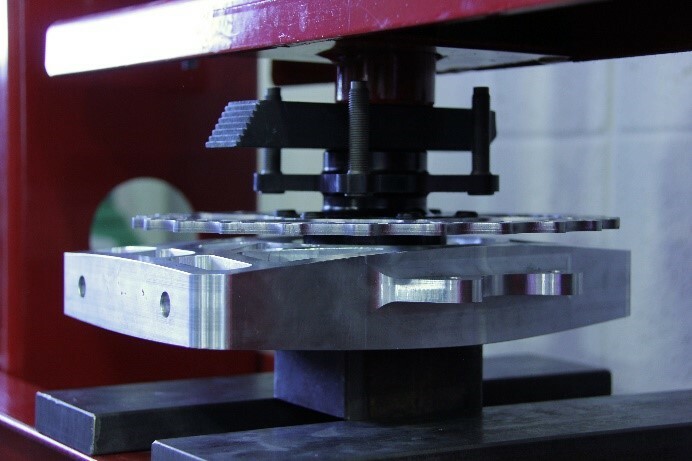 This includes designing, fabricating and/or sourcing the uprights, hubs, wheel bearings, wheels, and tires. It also ensures that all the wheel assembly components fit and interact properly with other components from related assemblies, such as the suspension a-arms, drivetrain half-shafts, and brake discs and calipers. The suspension system is what connects the frame to the wheel assembly. It dictates the vehicle dynamics of the car and how the vehicle interacts with the road. 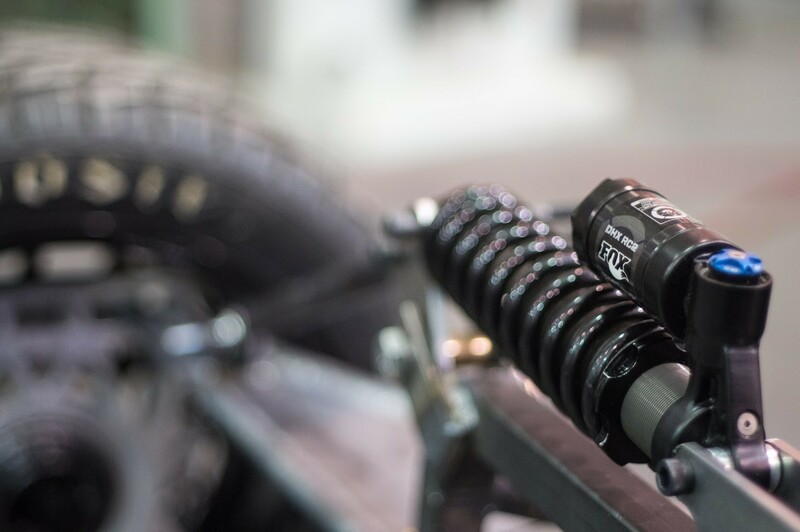 The suspension team is responsible for designing and fabricating the a-arms, push rods, and mounting brackets, along with sourcing ball joints, shock absorbers, and fasteners. Brakes and steering are critical driver controls that require high levels of safety. This year, the brakes and steering team designed a custom pedal assembly from scratch to optimize space by 80%. 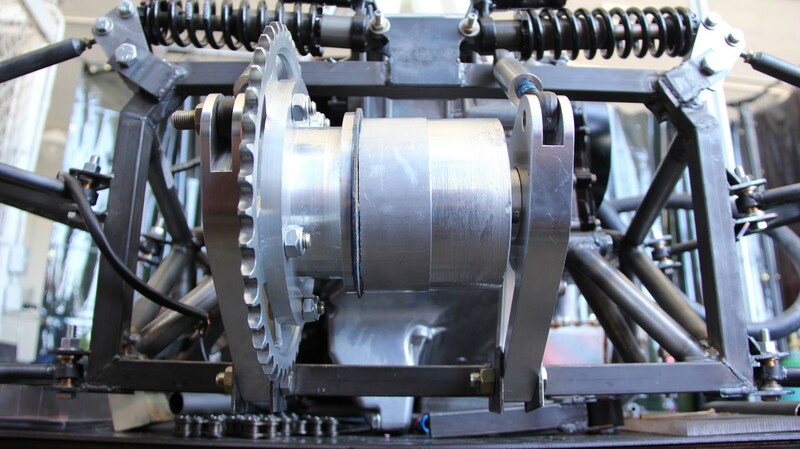 Brakes were designed through mathematical analysis based on FSAE requirements by considering variables such as dynamic weight, hydraulic clamping force by the calipers, and pedal effort by the driver. The steering assembly was designed to operate smoothly and easily with the suspension/wheel assembly setup chosen for the car. Overall, these components play a major role in the "feel" of a vehicle and require consistent robustness in design. 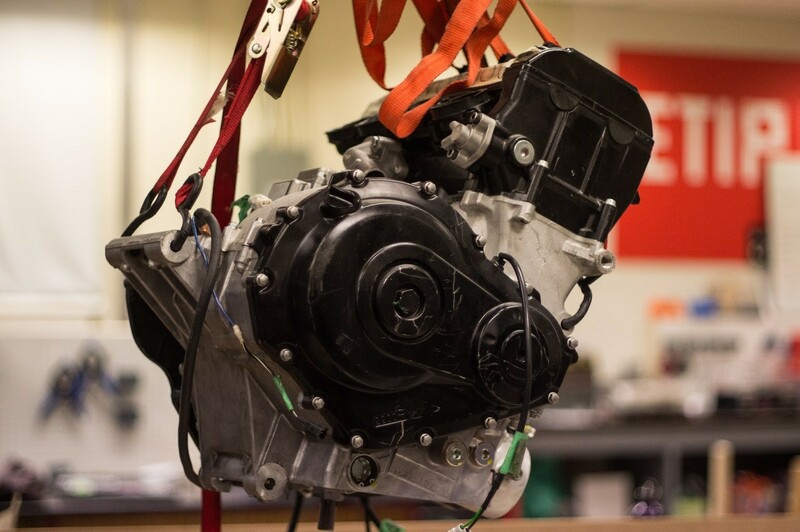 Requiring a good deal of knowledge in fluids, heat transfer, and simulations, the engine team deals with managing all the mechanical systems that support the engine: the intake, exhaust manifolds, the radiator, and lubrication systems. One of the biggest parts of the engine system is the intake manifold, which is designed to optimize the air flow and counteract the effects of the air restrictor. A combination of computational fluid dynamics (CFD) and engine simulation software is used to optimize the design of this component. The current engine is a 600cc Suzuki GSXR, a four-cylinder model that produces about 110 HP in regular conditions. As per the rules for Formula SAE, this engine is fed through a 20mm restriction that brings it down to approximately 60 to 70 HP. Including the axles, differential, axle boots, chain, and sprocket of the car, the drivetrain system transmits the torque to the wheels after the engine produces it through combustion. The team uses the Torsen, a limited slip differential that provides better control in turns. 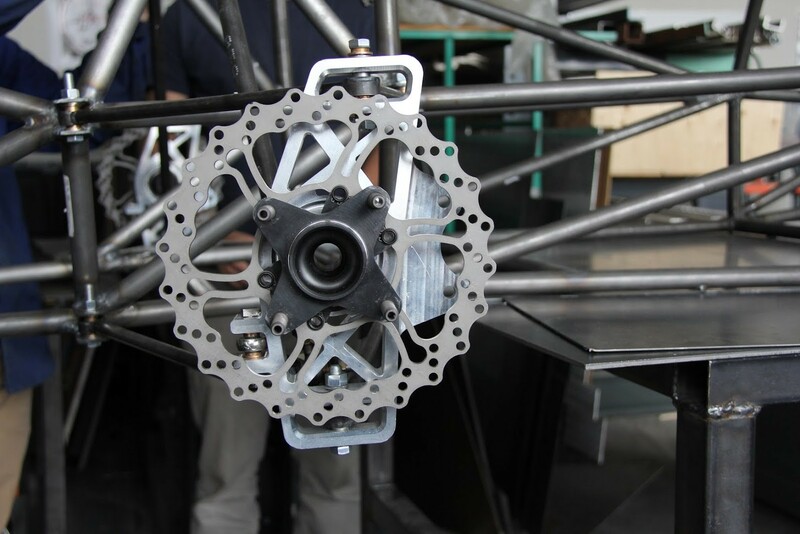 While this year’s biggest challenge was sealing the differential while also reducing the total weight of the assembly, next year’s drivetrain team will continue to work to reduce weight by conducting more finite element analysis (FEA) and testing. In addition to the aesthetic impact of the body on the overall car, the body is an essential part of the Formula racecar as it protects the driver from getting hit or letting fumes from the exhaust access the chassis of the car. The process starts off with the creation of a mold, using foam that is shaped and then sanded. After applying a coat of filler on the mold, it is then sanded and waxed prior to the application of Kevlar and epoxy. Once dry, the body is removed from the mold and is painted with primer paint, wet sanded, and painted before stickers or decals are applied. Since materials can vary from year to year, the team is looking at adjusting the process of mold fabrication and using either fiberglass or carbon fiber for next year’s racecar.